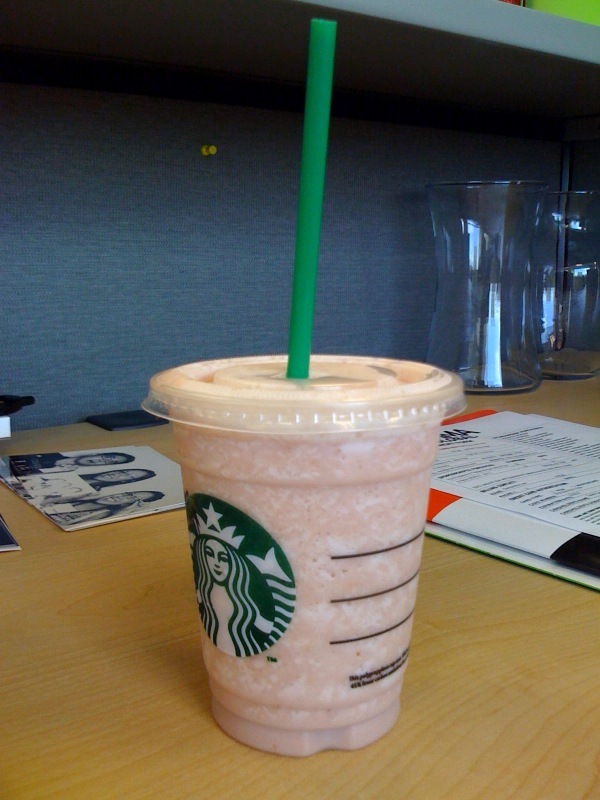 After seeing this on the Huffington Post the other day, my coworker and I had to try out the Starbucks secret menu. The first drink that caught our attention was the Captain Crunch Frappuccino. Whaa?? Captain Crunch in a Frappuccino? How does it work? So, we headed down to the Starbucks in our building to try it out. Apparently, it’s a strawberries and cream frap with toffee nut syrup. The strangest combination, but somehow they marry together and make the awesomeness that is a Captain Crunch flavor. On my first sip, it tasted exactly like Captain Crunch or Berry Crunch. It’s funny because I don’t think there is strawberry or toffee flavoring in the children’s cereal. After getting over the weird combo of flavors, I started to really like the drink. I’m really excited to try the other items on the menu! Starbucks is my favorite place. I get the “Americano” everytime I go, 8 bucks later but…….ha! This looks good though. I also saw this too in the Huffington Post and I wanted to find some reviews before I actually tried it for myself! Thanks!